In an increasingly globalized world economy, the OECD, UN, as well as the EU consider cooperation between States as a crucial instrument to achieve different, but related tax-related goals, ranging from the correct and fair levying of taxes to the ‘battles’ against harmful tax competition, bank secrecy, money laundering, and recently even against corruption and international terrorism. To meet these expectations the international rules on the subject have changed considerably during the last three or four years. When exchanging information, do States have a legal duty to protect the interests of their internal taxpayers/suppliers of information, apart from the obligation to protect the interests of the contracting States? If the last question is answered in the affirmative, can this duty be fulfilled under the current rules concerning the international exchange of information? Within this framework, what are the interests of States and taxpayers to be weighed? 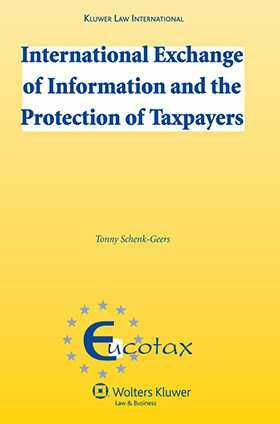 How can the legal protection of taxpayers supplying information be best achieved?